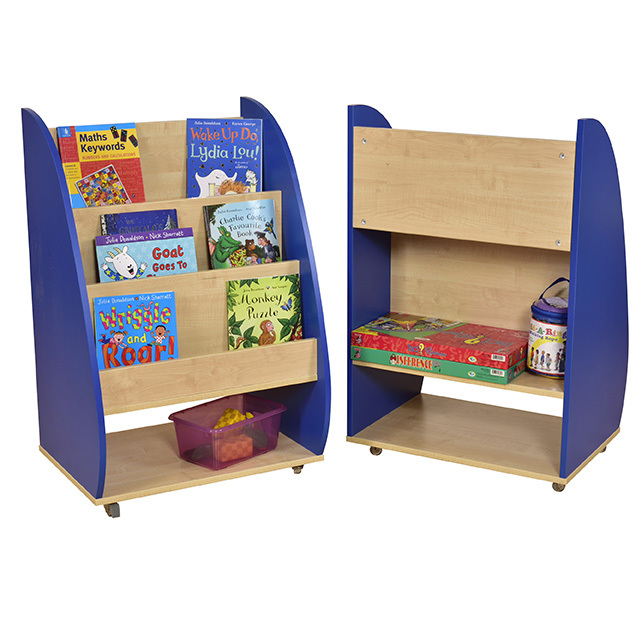 These innovative mobile bookcases are a clever way to store the maximum number of books in the smallest space possible. 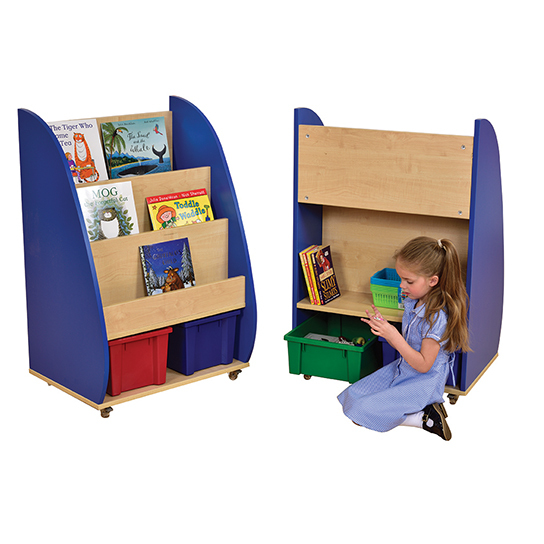 Front display shelves are ideal for eye catching face on display whilst the reverse of the unit is ideal for volume storage of books. Manufactured from 18mm maple melamine faced particleboard. Available with a choice of red or blue end panels. Supplied flat packed with easy to follow assembly instructions and lockable castors. Two units can be placed side to side or back to back. Rear Bookshelf H400 x W670 x D235mm.